Hello, Everyone, I would love to get some input from those of you who have been doing this WOE for a long time. I am 2 1/2 years in and still committed to it but I have not only stopped losing but am slowing adding a few pounds. This may be the result of being a bit less diligent or maybe eating more on eat days than I realize, but I am finding it quite discouraging. Not to the point where I’d stop IF because then all would be lost. Or GAINED!!! But, I also don’t have it in me at this point to strictly watch what I eat on eat days because the whole point of this plan, the reason it worked for me, was that I didn’t feel I was on a diet. So, I am curious about others’ experiences with long-term IF. Is this my metabolism finally slowing, even though it wasn’t expected to? I definitely lost more quickly in the early months of doing this and then I held pretty well in the second year but this slow inching up has me baffled. I am a 70 year old woman who is moderately active (walking, which I measure every day). Thanks for telling me about your experience. MaybelleW, What you are describing is EXACTLY what I am currently experiencing. I am a 57 year old woman that’s been doing the IF for 2.5 years. I have lost about 70 pounds during that time. However, during the last 8 months my weight loss has slowed to a stop and I’ve even gained about 4 pounds. To my shock and horror. I thought I was OVER that kind of stuff. I still fast 2 days a week. However, I have slipped from being as diligent on my eating days. So I am sure that is what is doing it. But I have upped my walking speed and frequency. I am looking at how to add more exercise now. I also realized that I can’t eat now on fasting days – even the 500 calories because it seems to trigger eating frenzies in me. If I don’t eat at all and just drink plenty of water and unsweetened tea I don’t get those cravings. I have rationalized this slowdown over the last year as my body trying to normalize itself. I know at one time I was at this weight for years and didn’t really gain or lose it so I thought – well, I must be at a “body set point” where it is comfortable and if I just stick with it – eventually it will start to fall again. I need to lose about another 50 pounds, and I would sure like that weight loss pace I had when I started!! I’d be DONE by now and into maintenance. I am thinking I have to step it up and do a very strict “Fast Beach diet” style thing for a couple of months. Like 5 days of strict 1200 calories – no grains, low glycemic foods and 2 all day fasts a week for like a month and see what happens. And the reason I LOVED this diet was because I didn’t have to count calories or be very strict on eating days. So – I’d love to see some more people weigh in on this topic too. I’ve been on the 5:2 WOE for about three years. No rocket science involved and you have identified the issue – you are eating more than your TDEE, so are gaining weight. You know how much you are currently eating and you understand it is too much food to allow you to maintain your current weight, much less lose weight. So the answer is just eat less if you want to resume your weight loss. That is all you will be doing anyway following a different diet. You know 5:2 works when done properly (500 cal. twice a week and TDEE or less on non diet days) because you have lost a lot of weight doing it. And 5:2 is easier and more sustainable over time than short term, quick weight loss diets like the Fast Beach diet. If you don’t want to count calories, don’t – it is simply that the less you eat, the more you lose, or the more you eat, the more you gain. Hi, 3Wishes, I am so appreciative of your reply. It does sound like we’re kind of on the same page but you have lost a lot more weight than I have. Still, the problem is the same and your experience seems to mirror mine. Your feelings about thinking you’d found the permanent solution, etc. are so familiar. This WOE seemed to be the answer to struggles I’d had for so many years. And I can say that I wasn’t terribly upset when I stopped losing as I was near my goal, but I found it so discouraging and depressing when I’d gained a few pounds. It really affected me, knocked me for a loop. I also think I may have to get more strict for a month or so and try to get back to where I was before I gained these few pounds. But, I also know I may not be able to go back to “dieting.” IF has been a surprising success for me because I’ve succeeded in staying with it for 2 1/2 years. Like you, it doesn’t work for me to count calories and cut back and do that continuously for any length of time; I can easily fast for a day if I know I can eat normally the next day. Do let me know how you do with your new plan. I think it’s a HUGE accomplishment that you have lost so much so don’t beat yourself up too much over this little set-back. (Though I know it doesn’t feel “little.) Thanks, again, for your post. Hi, Simcoelov, Thanks for your post. Yes, everything you say is true. The reason I am befuddled at the moment is that the numbers (and I’ve done all kinds of counts, calculations, estimates, etc.) don’t seem to add up as they used to. I asked this question of others because I wonder if there is something else at play–a slowing of metabolism, for instance–that others have noticed. I adjusted my TDEE downward as I lost weight and yet I seemed to hit a plateau as people often do on calorie-restrictive diets. I didn’t expect that to happen. And then the little gain really had me flummoxed. 3Wishes, in her post, mentioned the theory about a body having a set-point. Where I stalled is, in fact, about where my weight was for many years. I will have to decide whether to start a more rigorous counting of calories (like in the old days of dieting–dread, dread) or just be much more disciplined and watch what I’m eating more closely on eat days. The worst thing would be to continue fasting, keep creeping up in weight and then end up where I started!!! I would love to hear from other IF-ers who have been doing this–successfully or not–for years. Thanks! As you have said, your TDEE (metabolism) goes down or slows as you lose weight. Plateaus come and go, but long ones (over a month) usually result from not having a large enough calorie deficit to cause weight loss. People that do long term water fasts consistently lose weight with no plateaus longer than a day or two, which seems to indicate that if the calorie deficit exists weight loss will occur and continue without serious pause. This has been proven time after time on many different types of diets – as long as a person eats under their TDEE, they lose weight. By definition, they have to! The set point theory is bantered about but has not been proven. I’ve never seen it ‘work’. It seems not to exist on the ‘downside’ – whatever the ‘set point’ weight is for a person, it seems that if a person goes above it the body does not automatically lose weight to get back down to it. So not much of a ‘set point’ there. I guess it is only supposed to work if you fall below it. One of the hardest things for an overweight person used to eating quite a bit of food to understand is how little food the body needs to maintain its weight. And once a person has lost a lot of weight while still having more to lose, they sometimes have to decide whether enough is enough. Do they really want to keep going, with all that means, or will they be satisfied with their new, much lower weight. That is a very personal decision. By being on a ‘plateau’ for as long as you have, you know how much food you can eat and maintain your weight loss and even gain a little. That is a fact you must deal with. It is up to you whether you want to maintain, go up or go down from where you are. If you want to go down, you can eat less doing 5:2, or doing any one of hundreds of other diets out on the market. Only you know what is best for you. If you don’t want to count calories obsessively, cut all mainly carb foods, whether whole grain or not, and make sure you eat fats on non fast days. This will help you feel satiated and therefore less likely to overeat. Vegetables have carbs in too, so you aren’t totally losing them, so eat plenty of green and highly coloured veg and high quality proteins on non fast days. This reduces the carb cravings and means you don’t feel hungry even though you are eating less than your TDEE. Only have low fat stuff on your fast days. I’ve been surprised how much better I feel the day after a fast day when eating fish such as mackerel, herring or salmon – high in oils but still low carb and not massively high calories either. Or some lamb, a fattier meat that you wouldn’t have on a fast day. If you are vegetarian, use some good oils to cook tempeh and tofu, or add sesame to veg and soy after cooking them. We tend to focus on the fast days, care for quality on the other days makes it all easier. Hi, again, Yes, all you say is right and it’s given me a little dose of reality that I guess I needed. I will have to take a closer and more honest look at what I’ve been eating. I appreciate the time you’ve taken to answer me. You haven’t said anything about your own experience with this WOE but I’m guessing that you’ve done well and have had success. I hope that’s true. I continue to be a true advocate of this plan as it has worked for me for the most part and being able to stay on it this long is an accomplishment in itself!! Hi, Apricot, Thanks so much for your post and your very good suggestions. I have some strange limitations on what I can eat because of food allergies (soy being one of them) and migraine triggers and, on top of that, I’m a vegetarian. I can’t eat some of the things that would be best so that’s part of my problem. I will pay closer attention though to some of the unhealthy carbs that I may be relying on too heavily. Thanks. I wanted to add that I measured myself today – I usually do it about once a quarter to get a reality check and I’ve lost an inch on my waist and 1/2 inch off my hips since the last measurement I took in November. So SOMETHING is moving still in the right direction. I modified my fasting day to go to no food at all. Much easier to do that than try to figure out how many calories I need right now and I’ve dropped about 2 pounds. I’m also watching my eating days more closely. Good luck with your vigilance!! thanks to everyone who replied to my posting. I have been away for a week and I never attempt fasts when I’m away and my weight was up again a bit. Very disheartening, to say the least. So I am now going to commit to being more strict on eat days and make a more serious attempt at cutting out simple carbs. I will also write down everything I eat which is a bore but necessary to curb my habits on eat days. Losing weight and keeping it off is no easy matter. I thought two years ago that this WOE was the answer to an almost life-long struggle that had me up and down within about a 30 pound range all my life. I have become too complacent and lax and now have to get back to being more careful. There is no way, no diet, no plan that would allow a person to eat all he/she wants and not gain weight. Even with a twice weekly fast. So, onward ho!!! And good luck to everyone and thanks for your input. It’s just what I needed!! Three Wishes, The fact that you had lost a bit when you measured is certainly good news. I haven’t had the nerve to measure and go more by the way my clothes fit. And they have definitely been a bit tighter lately. Sigh. Sigh. I am impressed that you could go with NO food on a fast day. I wouldn’t even consider that!!! But, if it works for you and you’ve lost a bit again then that is real progress. I would love to hear from you occasionally as to how you are doing. I think your profile said that you are also an American. I have the impression that this WOE isn’t as widely practiced here as it is in England and Australia. I have told so many people about it as it seems such a wonderful discovery. I am older than you are by a bit and find that I have to work harder at being active. My activity of choice is reading and that doesn’t help much with my weight!!! So, I wear a pedometer and try to push myself each day to my step’s goal. I find that it has helped me keep moving. have you been taking into account that people need fewer calories as they get older? A friend of mine did really well with IF and then, like you, started to gain weight again after a couple of years. He found out that he needed fewer calories than when he’d started out, so he readjusted his intake and could keep the weight off. Hi, Austrian, Yes, I have thought about that over the years and I think it’s one of the reasons for the typical gain of 10 pounds/decade that many women believe occurs. It certainly happened to me. And I realize, too, that after losing some weight one has to adjust the TDEE downward and I haven’t given that enough attention. So, today I am being more diligent and actually counting calories on an eat day (I don’t know how long this will last!!!) and avoiding carbs when I can, etc. This WOE was such a great discovery for me; it allowed me to lose weight and not feel like I was dieting and that was its charm. So, when it stopped working as well I didn’t want to face up to it and it’s only after I’ve gained some weight back that I have come to accept that this business of losing and controlling one’s weight can never be easy. As for aging, I watched my mother struggle with being overweight for so many years, in and out of Weight Watchers, etc. And then, lo and behold, when she hit eighty she seemed to lose weight without any effort. So maybe there is a point, if we live long enough, when we stop a tendency to gain and we start to lose!!! One of the few benefits of being old????!!!! Thanks for your post. So glad I found this post Maybelle W. I completely understand where you are at. Something seems to be going on that I cannot account for. I am perpetually hungry and gaining weight! I’ve followed 5:2 very successfully for 20 months, reaching my goal weight about 8 months ago. Feel energetic, fit, and love my new wardrobe, and now follow a 6:1 regime. I’ve adjusted my TDEE (both up and down), cut carbohydrates, inreased protein and fats, toyed with Dr Moseley’s BSD, track food intake and calories and upped my activity levels, but I’m finding it increasingly difficult to shift the 2 kg I have gained and feel I am on a slippery slope. I’m still motivated and constantly remind myself of my achievement. I was never hungry before, never snacked but now I’m constantly hungry. Any thoughts gratefully appreciated. Hi, Healthy High, Oh, my, your story sounds so familiar. Especially the part of being very hungry much of the time. THAT has made this a real struggle. I am still fasting twice a week but not quite as rigorously as the first two years. But, even with 700 instead of 500 calories on a fast day twice a week I should be maintaining now that I’m watching more carefully what I eat on feast days. The frustrating thing is that I’ve gained back some of the weight that I was so proud of myself for losing, and now I am having to think about food even on feast days and I don’t want to have to do that. This WOE worked so well for the first months when I lost 23 pounds, then I seemed to be, at least, maintaining. And then, bam, I was gaining. I haven’t given up and I am trying hard to keep an eye on what I take in, cutting back on carbs a bit, etc. but I feel a bit defeated. And it stings since I thought I’d found the ANSWER to this weight issue. I don’t have any light to shed, I’m afraid. It’s supposed to be all about calories in and calories out but somehow this feels like something else is going on. Has my metabolism finally slowed? Is my TDEE now much, much lower than the calculations say. And that seems to be your complaint. You seem to have done all the right things and yet you’ve gained a bit and I understand your frustration. I fear, as you do, the slippery slope and worry that with little effort I could end up where I started 32 months ago! Do let me know if you find an answer. Meanwhile, we keep at it and hope for the best. I am not anywhere near giving up on IF because I can only imagine what the result of that would be!!!! I have just been reading your comments, Maybelle, and wonder if you have heard the suggestion of calculating your TDEE for your goal, rather than your current, weight? I have been doing 5:2 for two and a half years now, and continue to be rapt with it. I am at my goal, but continue to do the two strict fast days a week, and have largelymodified what I eat on other days. There is very little bread in my diet, and I have reduced other white foods (potato, rice, pasta etc.). This enables me to bounce around within a 1 kg range, but still keep a healthy relationship with red wine 🙂 And speaking of healthy, when I had my last blood pressure test I was told I had the BP of a 20-year-old ! Hi, Barata, Thanks so much for your post and your suggestion about a lower TDEE. It makes sense but it also means I’d have to be monitoring much more closely what I eat each day and therein lies my problem—I don’t want to have to be quite so diligent. But I have tried to switch away from some of the carbs I was eating and I think in the last month of doing that my weight has not gone up. I lost about a half pound! I would be OK with that rate of losing as long as I kept going in that direction. The thing I continue to wonder (and worry) about is why the WOE worked so well for a while, even as my TDEE went down with my loss, and why it seemed to stop working. I don’t believe I changed my habits during that time. I will continue to stick to a lower TDEE. And, afterall, part of the benefit of losing on this plan was the health benefits and my numbers did get better. I’m about to check those numbers again and hope they are still looking good. But, good for you with you low b.p. reading. I don’t think there is any part of this 70 year old body that resembles that of a 20 yr. old!!!! 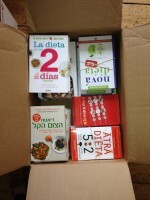 As to feeling hungry all the time – I would like to recommend Debra’s justmaintaining.com blog. She stopped writing about three years ago, but before that she kept up a diary about maintaining her weightloss. I sort of hate referring you to it because her blog shows that maintaining weightloss can be hard work, depending on the person. It’s a very, very sobering read, but what keeps it from being demotivating is the wealth of issues she takes up and information on maintaining weightloss. thanks, Austrian, for the posts you suggested. I will look for them. Yes, one does conclude (at least I do) that maintaining weight and keeping it off is going to require hard work. Maybe harder work than was needed when I first started fasting and lost weight fairly easily, though not quickly. I guess I am a bit disheartened to find out after this long that what I thought I’d found–a relatively painless way to lose and maintain–is not that at all. I will now have to get a grip and go back to the old days of paying more attention to what I eat, etc. But, having gotten down from a weight that truly alarmed me, and feeling so much better at the “new” weight I absolutely do not want to give it all back and end up as heavy as I was 2 1/2 years ago. Weight loss and weight gain has such a large mental component. And it’s emotionally exhausting!!!! How have you done with losing and maintaining? I am interested in others’ experiences which is why I started this thread. I’d love to hear more from you. Maybelle, I am not at all at the maintaining stage – I started out with 5:2 a couple of weeks ago and I lost 6 kilos, but I have about 14 kilos more to lose. Before starting on 5:2 I read as much as I could about weightloss and maintaining because I know how many people gain their weight back and I thought that the ONLY thing that could make the lower weight “stick” was an awareness of all the traps. That’s how I came across Debra’s maintaining blog, which was really an eye opener. So little is known about weightloss and maintaining – I mean, real, hard, scientific evidence on how it works; how the different components of the body work together to keep weight up or down. And yet the media, doctors etc. have the audacity to present weightloss as easy: stick to this plan, and be thin forever. It is very disheartening that keeping the weight down can be such a struggle – not for all people, apparently, but for many – but what can you do? I, like you, was rather alarmed at reaching a weight of 100 kilos after my pregnancy, and I. Do. Not. Want. To remain at that weight. Even if there is the risk of gaining it all back, I just can’t sit and watch the weight creep higher and higher without doing anything. I think, for me personally, that 5:2 combined with a low carb/high fat approach on on-fast days, and no sugar, works well enough for now. And when I’m at maintaining stage…well, we’ll see. One thing I know is that many, many overweight people are NOT undisciplined, but fighting hard battles against their physiology (and probably their minds). MaybelleW, Dr Jason Fung outlines exactly the problem you’ve been talking about. There is indeed research about set points and for the likes of us it’s a little depressing. I’m only a year or so below you and this is the third time I’ve remained for any length of time on a serious diet to reduce from the overweight/obese borderline BMI of 29. Like Austrian, this time I’ve been really reading round the subject. This time I’m losing weight a lot more slowly than when I dieted previously. Fung points to research that shows that when you have lost weight, you must eat less to maintain the weight you reach than someone of the same weight who has never dieted. Also, the hormones for hunger (grehlin in particular) are higher than for a never dieter even a year or more after one has stopped dieting, and Leptin plus other satiety hormones are lower in ex dieters. Hence the always hungry feeling. Keeping saturated fat and good oil levels fairly high with moderate amounts of protein foods can apparently help but to do that without putting on weight the pure carbs such as bread, pasta etc., must be kept low. Do you like oily fish, such as mackerel and herring? Lamb that’s not fat trimmed? As these with green and multi coloured veg really help. And keeping nuts and seeds in your non fast day daily food. Maybe step up eggs? Very hunger quelling. At the moment I seem to get some benefit from eating my breakfast as late as possible, waiting till I’m really hungry. Yesterday I had coffee at about 1130 then wasn’t hungry til 1.30, ended up eating at 2. It’s not always as late as that, but extending the natural overnight fast like that does seem to help a bit. Or if I’m hungry first thing I have something like a boiled egg or two, or yogurt with oatbran and raspberries then go and have a bath or shower. By the time I’ve finished, I don’t feel hungry so don’t overeat the way I did with toast. Hope this helps ( and me too when I get to maintenance). I’m still losing, but I know already it’s going to be hard to maintain the weight I get to. Krista varady’s research shows that you can eat what you want on feed days when you do alternate day fasting, but whether that is worth the trade-off is a very personal question. Hi, I appreciate the posts so much. I think support from fellow “IFers” gives an important and very helpful boost. And I like hearing about the reading and research that you’ve done to understand weight loss and gain. It sounds right to me that things do change once you’ve lost weight. In the old days, on conventional diets, I was always surprised that I could gain a few pounds so easily if I wasn’t careful and the calorie in/out balance didn’t seem to be accounting for the gain. I’ve commiserated with friends many times about how quickly a few pounds will pile on and how hard it is to take those few pounds off. And to keep them off. The dieters dilemma for sure. Well, I will keep at it, trying to hone my food intake on eat days to things that are better for me, and fasting two days a week. Fastfit suggested one could fast every other day but I don’t think I’m willing to make that trade-off. As I’ve said before, the thing that made this work so well for me was feeling that I was only having to count calories and deprive myself on fast days and the other five days felt fairly normal. But I am willing to be more careful on feast days now because I LOVED being thinner and I have given this so much time that I don’t want to give up and go back to my old weight. Gaining a few pounds recently has really upset me. It has felt AWFUL!!! And in part because I thought I’d never have to feel that way again. The information in your posts about the changes in the hormones that affect hunger and satiety do go a long way in explaining feeling hungry so often and having a harder time losing and maintaining. Thank you for all of that. And Austrian, Oh do I remember the extra pounds gained with pregnancy. I think I carried about twenty of those permanently. And then added a few more as I aged. You are smart to try and get them off now as it only gets harder as you get older. And this seems a great way to do it so keep at it. Thank you, everyone, for your posts. To Three Wishes, I’m just wondering how you are doing since your last post in Feb. Your story was so familiar to me and I’d love to know what’s happened in the last two months. Apricot, I appreciated your post a lot – good ideas from you as a fellow IFer from the awful 29/30 BMI borderland. I am a bit uneasy about mentioning the difficulties of maintaining weightloss at other threads – I really don’t want to rain on anybody’s parade, and it is so important to keep motivation up. So it is a real relief to have the problem discussed openly in this thread. Hi, again, Another question for all of you: Do you take breaks from IF-ing when you travel or have guests, etc.? I have just taken the list of weights that I’ve recorded with dates (I have made a point of not weighing very often which may be another mistake that I’ve made) since I stated this in Aug of 2013 and charted them on a graph. The line on the graph has a nice slope downward for the first year, then it moves horizontally with small peaks up and down (all within a range of a few pounds) for several months and then it starts a climb upward since a year ago, with only a few small dips. It’s interesting to see the way I’ve lost and gained graphically like this. During this last year when the line climbs I have taken five trips to see daughters and grandchildren. I have never tried to fast when I travel as it is too hard to do and I was getting away with those breaks during the first year because I am so much more active when I am away. But now I suspect that much of the damage is being done during those breaks. (I have marked the dates of those travels on the chart.) Which then makes me wonder if taking a break from fasting causes an immediate weight gain, more than if I’d never fasted. Which is in keeping with what what Apricot wrote about and Dr. Fung’s thesis. Have any of had an experience with taking brief (a week or two) breaks??? Thanks. When you go on your fasts do you weigh yourself before the fast and directly after it so you can measure how much weight you have lost over the 36 hours? I am just interested to know if you are still losing the same amount during your fast time? I find maintenance is a very interesting topic with little real information available on how people manage. Thank you for starting this post. Concerning having a holiday it does seem to have a big effect. I have read about people being successful on 5:2 and then going on holidays and gaining weight very quickly. I have only been on one holiday so far on 5:2 and managed to lose the weight I gained over the next two weeks but I was trying hard. Like you I just couldn’t stick to 5:2 while I was away with my family despite the good intentions. May – Most people take a break from their diet when they travel. That means they eat and drink more than they have been. And usually what they eat and drink more of are carbs and alcohol. These cause immediate water weight gains that can be lost quite quickly if the person returns to their diet after their travels. The problem is that science now knows processed carbs like wheat and sugar are addictive. Just like any addictive substance, once you start eating them, they creep back into your diet almost unnoticed and you start gaining weight. This is very noticeable with people that do the old Atkins diet. They all report nice weight losses, but the minute they end the diet and begin again to eat carbs, they gain the weight back. With 5:2 this happens more slowly because of the calorie restriction caused by the two diet days each week. But if you don’t watch what you are eating, you will slowly begin eating more and more carbs and the weight will creep back on. Q – This post will give you the ‘numbers’ on fasting: https://thefastdiet.co.uk/forums/topic/tdee-for-the-curious-or-why-dont-i-lose-weight-faster/. If you read it, you will see a woman might expect to lose only 5 or 6 ounces of fat after a diet day. Weighing before and after really will prove little because water weight and food in transit weight overwhelm the fat weight loss number. For instance, if you think about it you eat and drink several pounds of food and liquid every day. On a diet day, you cut that number substantially. So you might weigh less the day after, but you soon regain it when you start eating again. In any event, the number, whatever it is, is pretty much meaningless for determining how much fat weight you lost. Not sure why people find it hard to fast and socialise? Maybe people need a drink or a piece of food in their hand to talk to other people? If my fast day coincides with a social engagement I find it easy to not drink or eat food and still socialise. Case in point, we were at a 60th last night. I got offered a piece of cheese cake and before I could politely say no thanks my sister in law chimed in with, “he wont eat cheese cake”. I suspect that since you’ve lost weight your TDEE will be lower than it used to be. Now when you eat (excessively) due to socialising events you eat the amount of food that you would have normally eaten when you where a lot heavier, as that is just an old habit that is hard to break. So you are eating way over your TDEE. I do 6:1 to maintain my weight. I find that over the course of a week I slowly put on 1 kg (2 pounds) and my one fast day is like a reset button where I lose the 1 kg. So I stay between 72-73 kg. Has anyone struggling considered doing a 4:3 diet? I’m fasting (generally) on Tuesdays, Thursdays and Saturdays. Not only does this mean I have 3 days at only 468 calories, it means there are only 4 days where I can overdo it and mess up! Gosh there are so many interesting posts to respond to! Where to begin? Austrian and Apricot, I too started with a BMI of 29 and am currently 22.1 (the lowest was 21.9). Like Maybelle I am trying to find a way to maintain without reverting to obsessively counting calories on non fast days, a disaster in the past, causing a lifetime of yo-yo dieting. I love 5:2, it has worked for me. Hi, everyone, It’s so great to get input from so many people and it is very helpful to learn that I am not out here alone with a bit of a struggle. You’ve put a bunch of things on the table to think about but, most importantly, you’ve given me a renewed feeling of sticking with this and doing a better job of watching myself on eat days. I’m also glad that you don’t seem horrified that I’ve taken a break from IF-ing when I travel. Next time I leave home I will try a bit harder to stay within more ‘frugal” bounds. I’m not quite ready to go to a 4:3 routine; I’d rather fast two days a week and be more careful on eat days. But, another interesting thing I’ve learned: I don’t find fasting difficult. It’s become so routine and I do it easily and then I always have a bit of a high that evening when I”m pleased with having fasted and I look forward to eating the next day. I do try to stick to a 16:8 schedule for eating as that is close to what I’ve always done anyway. So, fasts are not hard but I think I have become more fixated on food on eat days and that is not a good development. And if there is a physiological reason for being more hungry now, the combination is not good!! As Austrian said with a sigh, it’s not easy and can be a bit of a job! You’ve given me lots of good things to think about. Here’s to all of us!!! MaybelleW, just to encourage you, Cinque posted this on the Related Science Articles thread, but I’ll copy it here as it’s very encouraging,. In a nutshell, a Nordic study suggests that after a year of maintaining a lower weight, the hunger and satiety hormones readjust and reduce the the added hunger pangs, making it easier to keep the weight off. Even before that, there was some improvement, but the length of the study was a year, so that’s what the report is based on. It is also worth looking up some of David Ludwig’s work about being less hungry on higher fat, reduced carb diets. MaybelleW, I too give up trying to fast when I travel, but I have started taking some food with me, particularly some lower carb higher nut and fibre patties or little cakes I make that stop me filling up too often on bready things like rolls or baguettes. Hard boiled eggs are good too. Two tricks for travel from previous diets: pastry-less mini quiches made in patty pans or muffin trays. And oatbran bread or cake, very sustaining and in some forms tasty! I’ll put it in the recipes section later this evening. I’ve been doing 4:3 because I mostly mess up, sometimes only slightly, as I get so hungry in the evening. I’m now trying to postpone feeling hungry as late in the day as possible to either have only one meal of 500 or two in a small time frame. Got to 4 pm today so far, and not very hungry yet, thanks to drinks, including cider vinegar and lemon. Hi, Apricot, I have just looked quickly at the site you referenced and also at a short q and a piece by Dr. Ludwig. It is one more piece of the puzzle and it fits with the idea that losing and gaining, etc. are more complicated than the simple calorie in/out calculation. I was near my goal last year but I didn’t stay at that weight for a full year so that may explain why my set point didn’t get reset and I started to creep back up. Cutting simple carbs is no easy task and I find it especially hard because I am a vegetarian and have numerous food allergies so live on a fairly restricted diet. But I have made an attempt in recent weeks to further cut out the worst kind of carbs and to focus more on protein and healthy fats. My favorite snack is hazelnuts which I roast and have several times a week. an ounce at a time. I could eat nuts all day but they are terribly high in calories so I have to work to keep that under control!!! Since I am no longer in maintenance mode but need to lose these newly gained pounds I should probably go to a 4:3 plan but I am resisting it. That is silly because as I wrote a bit ago, I don’t find fast days that hard and on a fast day I don’t have to make any decisions about what to eat or avoid and there is no guilt creeping in as there often is on an eat day. I will look for our oatbran reipe. How are you drinking apple cider vinegar? Just mixed with water? It is supposed to have all kinds of good health benefits but it doesn’t ever sound very palatable. Thanks for your input! I use apple cider vinegar in all my salads instead of salad dressings which can be up to 50% sugar content!! In salads it tastes fantastic. I also drink it straight off the spoon. Two table spoons before any meal will lessen your blood glucose spike after eating. If you have a big sweet tooth drinking it may be difficult though. Give it a try you never know you may like it. Also be careful of the brand you buy. They even spike apple cider vinegar with sugar!! Ive seen brands with up to 30% sugar content. You say that being a vegetarian makes it hard to cut out simple carbs? Can you give examples of some of the simple carbs you mean? Is it bread, or rice or cakes or fruit juice? If you make a real effort to cut sugar out of your diet weight loss will happen. Yes BigBooty, I remembered some bits read years ago and also found some new points made by Dr Jason Fung about cider vinegar, similar points to yours. I’ve found that if you add a little lemon juice, a teaspoon or so for two tblsps of C Vinegar, that sharp edge of flavour seems to soften. I put the juice and vinegar in a large glass , add the piece of lemon I’ve just squeezed and top with iced water. It’s very good. Must be my Italian heritage but I love vinegar, so for me its real easy to eat/drink it. The other thing that gets me “angry” is that food producers put sugar (or the 6 million variations of the same thing) into everything. health cereals with 30% sugar content. Grrrrr. My wife bought some Christmas puddings, they were getting rid of them cheap. I took a bite and had to spit it out it was that sickly sweet. Read the packet and it was 52% sugar. That is just insane. If people just watched the amount of sugar they ate it would make their task of losing weight a lot easier. Hi, again, These post have reminded me that I need to pay more attention to sugar and other carbs. I was very interested in the whole idea of people being addicted to sugar and did a lot of reading about how poisonous sugar is and I was much better for a while but may have drifted back a bit to less vigilance. And vigilance is definitely needed because there is added sugar in so many foods. Big Booty asked me about the carbs I eat. Well, I am an unusual case because I’m a vegetarian who has become allergic to all legumes and having to take those out of my diet means more reliance on things like rice (always brown) or pasta, etc. But, I am working to eat less of such foods and have had to give-in a bit on my vegetarianism and eat a bit of fish. I was interested in the apple cider vinegar that a few people mentioned and read a bit about its benefits but then realized that it’s a fermented foot and fermented foods give me migraines!! I am kind of a mess. But, I am toddling along and doing reasonably well and all of your posts have given me a boost; I will work a bit harder on losing these pounds that I’ve gained. And now that it’s spring here I plan to get out more and beat the pavement a bit and maybe that will help. What you have confirmed for me is the idea that what is going on after losing weight and then maintaining or gaining is more than just the simple idea of calories in/calories out. There are hormonal influences, etc. Maybe it explains, in part, what has been happening with me. I won’t give up but I need to be a bit more willing to work at. And I am! As to sugar – too true, absolutely insane how much sugar is added to so many products you would imagine to be sugar-free. It’s just a cheap filler for the food industry; and it will keep food from spoiling. Good news for them, awful news for us consumers. Maybelle, too bad about the allergies. Did your doctor tell you whether this is a common phenomenon? Must be difficult to replace, legumes are such a staple for vegetarians. What can you eat as a plant protein, then? Hi, Austrian, I am assuming that you are, in fact, an Austrian. I have been in Austria a few times–what a beautiful country!! My daughter and I spent a night in Hallstatt many years ago and I have a picture of the lake and swans and pretty buildings on my wall!! You asked about what I eat for plant protein. It’s a challenge. I can’t eat some tree nuts because I also developed allergies to almonds and walnuts, but eat filberts, cashews, pistachios. And seeds are mostly OK. I have started eating some of the rarer grains like quinoa and farro. It’s been very hard and so inconvenient to have to avoid legumes. I get most of my protein from dairy and that means cheese frequently and that means watching quantities because of calorie content. As I mentioned, I had to add a bit of fish to my otherwise vegetarian diet and that has helped. I have seen several allergists and all are confounded by my reaction to the triggering foods–I get severe hives and pain around my diaphragm. But, I’ve learned to live with the restrictions and shouldn’t complain. Have you tried the apple cider vinegar drink? I’d like to try it but don’t dare!! Oh, Hallstatt, that’s about one hour from my hometown. We sometimes went to the lake to hike there, but I haven’t been there for years now. Did you go see the skulls? No, I haven’t tried teh apple cider vinegar drink- but my mother told me that she actually bought a book years ago about the “Miracle of Apple Cider”; she’s promised to read it and I’ll write about any interesting bits she comes across. Hello, again, Are you talking about racing skulls? We didn’t see those but I can imagine that that placid lake would be an ideal spot for crew racing. I remember our trip clearly, though, taking a train past fields of sunflowers and then getting off the train at a stop across the lake from the town and being met by a small boat. The whole trip had an idyllic feel to it. We stayed at a small hotel right on the lake and had windows looking out on the lake. I wonderful memory. Apple cider vinegar is often advertised as having all kinds of miraculous benefits. And even though acidic, it’s supposed to be helpful for acid indigestion–a bit counterintuitive! I wish I could give it a try. Let us know what you find. In one of your earlier posts you said you’d lost 6 kilos in a short time. THAT is pretty dramatic. You may have a ways to go but at your age (you must be quite young if you’ve just had a baby) and with a baby keeping you active I’m guessing this WOE will work well for you. And you’ve done so much reading and researching and seem to have a good understanding of the science and mechanics of weight loss. It’s definitely easier to lose weight at your age than at mine (about to be 71.) I hope none of what I’ve written has been discouraging. I’m still a very big fan of IF. Hi, Shaz, I think your point is important–that exercise and trying to hold on to or actually build muscle as we age is crucial and not just for weight maintenance. I am reading all the time about the importance of MOVING and I do try to use light weights when I do my daily walking. I am also wearing a pedometer to push myself to reach my goal each day. And we now know that sitting is terrible for us and shortens life spans so we’re told to get up and move around often. Wow, this is no easy thing we’re trying to do!! Thanks for your post. Hi, Everyone, We have been talking about the things that are now known about weightloss: hormonal influences, metabolism changes, change in muscle mass, change in TDEE’s, etc. I started this thread because I was trying to understand why this WOE worked so well for me for the first year, then worked less well for the next year as I struggled to maintain, and then has worked far less well in the last 8 months as I’ve actually gained several pounds. What I’m wondering is whether Dr. Moseley has updated what he’s learned about IF-ing since he started all of this several years ago. I see that he has an updated version of his original book. Have any of seen that book; does anyone know what is new and different in it? I wonder if he, himself, has found the plan working as well for himself now that he’s several years in. Hi, Everyone, For those of you who have been in this conversation about maintaining a weight loss and maybe struggling a bit as I have lately, there is a very interesting article in the New York Times, starting on the front page, May 2, entitled “That Lost Weight?” It is worth reading as it fits so well with some of our conversations. It is also a bit discouraging so I warn you in advance about that. It does seem to explain some of what I’d wondered about, and what we’ve talked about, but it also does not deal directly with our WOE with IF. It had been my hope when I started this plan that IF would not cause the drop in metabolism that regular calorie-cutting diets do. We still don’t know that. But, it does put forth the questions about how our bodies respond to a loss of weight by trying to return to our starting weight. I thought I’d mention it as some of you might want to take a look. It doesn’t chance anything for me as I plan to keep on doing this indefinitely. But a bit more effort/discipline may be needed. Sigh. Sigh. Good morning Maybelle, interesting reading. The Biggest Loser’s diet is extreme, whereas, the 5:2 if followed accurately is less drastic. I’d like to think the five days of normal eating counters the bodies drive to drop the metabolic rate. Hopefully, researchers are studying intermittent fasters long term as well as Biggest Losers. There is no doubt that drastic dieting causes weight gain, metabolic changes and affects the endocrine system. Personal experience tells us so. In my early 20s, a very stressful event led me to stop eating ( except for cups of tea and a slice of bread and butter!) for approximately 6 weeks. I dropped a significant amount of weight, looked fantastic, felt bleh, and remembered commenting that I couldn’t eat or drink more than a cup of cappuccino or I’d gain weight. I did and more! Thus began my experience of yo yo dieting and weight gain. At 61 I found 5:2. I began it for the health benefits. Losing weight was a bonus. Maybe my attitude to this WOE helped, but this is the only plan that is working for me. I’ve lost the few pounds I regained and have refocused. I certainly don’t feel deprived and enjoy eating a healthy diet and a regular glass or two of wine. Significantly I am not obsessing and that is a huge bonus! Like you I read extensively. Although I haven’t read Dr Moseley’s book on the 8 week BSD aimed at diabetics, I have been browsing the BSD forum and read a four part series in the Daily Mail which outlined the BSD and included recipes. I toyed with following the plan to help me lose the extra pounds I had regained but have decided to stay with the 5:2 because it is working and highly sustainable. I worry about many people on these forums who appear to have turned the 5:2 concept into a crash diet making it less sustainable. I have so many thoughts buzzing around but would like to end on a very positive note. My husband! My husband was an obese child. At 16 he had a medical checkup for insurance purposes. He was told to lose weight and he did. When I met him at 28 he was svelt and fit, ate no carbohydrates, felt deprived and obsessively watched his weight. On a trip to Italy he began eating pasta and lost weight! I gained on the same diet. At 70 he still has a very healthy BMI, blood pressure and cholesterol, no sign of diabetes. He walks for an hour a day, eats huge quantities of fruit, loves carbohydrates, eats modest portions, enjoys a beer and wine daily. Obviously he has found what works for him but is one of the 3% who have successfully maintained, in his case for over 50 years! It is doable, we just need to find what works for us as individuals.